The action is connected with African tradition of using textiles as means of commemoration and communication and has served to promote and encourage social debate and participation around the proposed theme. 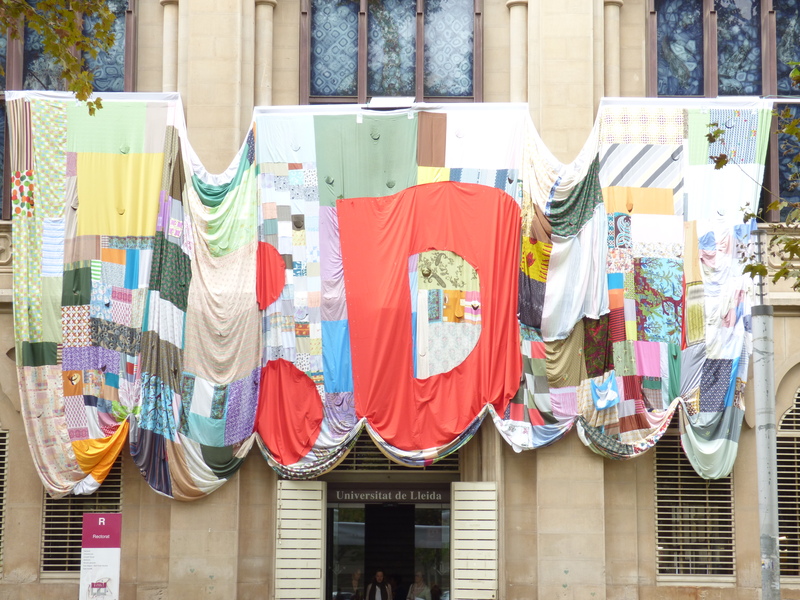 Audiences have been invited not only visit the performance (which has indeed drawn the attention of passerby people) but also invited collaborate with the contribution of fabrics, clothes and even sewing. From the collection of textiles to the hanging of the flag, each of the steps needed to accomplish the mission have helped to articulate various modes of participation (different degrees). This has facilitated the addition and incorporation of a large number of people from diverse profiles among participants. In fact the action created a social space of interaction where people of diverse social backgrounds and cultures had the chance to get to know each other in a direct way. One to one contacts between participants also provided the opportunity to directly break stereotypes and cultural prejudices (personal experience). In fact, the action and debate around it has stimulated reflection towards the importance of respect and coexistence as well as contributed to foster the community. A joyful experience that also was a learning one. The action included strategies in order to be inclusive and accessible. The action was successfully completed, sewing a 17,50 x 7,40 meters flag in a record time, all by means of volunteers (sewing included). The intervention was made within the frame of the conference day “DAY D: Africa as you never seen it before” promoted by the University of Lleida & Foundation Ferreruela Sanfeliu in October 2015.